I replaced the bushing on my Springfield Loaded last week. I also went old Colt GI guiderod and plug. The gun was doing 3.5 to 4 inch groups at 50 yards prior to the replacement for 5 shots groups from sandbags. 1.5" to 2" at 25 yards. I bought an Ed Brown bushing which was so tight that I needed to take emory cloth and oil to take off a little material to make it fit and function. Must say I'm impressed so far as I kept making one big hole at 25 yards when sighting in last week. 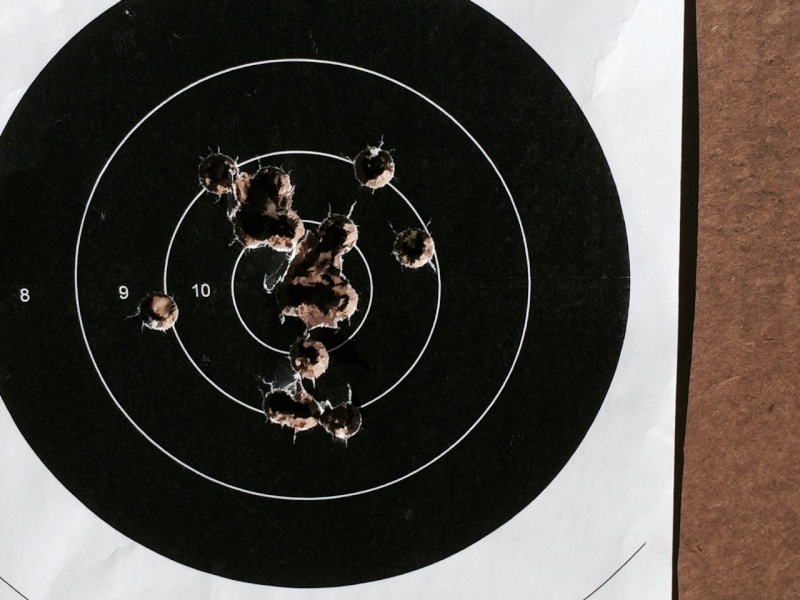 I held black at 25 yards for all my practice shooting excpet for four 8's out of 65 rounds. Thats not bad for a marksmen like me. Seems like the bushing change has made a difference in guns accuracy. Not bad for a $40 investment. 4" at 50 yds, from a sandbag, was a heck of a starting point. My RO is good, but not that good! Sounds like you have a great piece there. Good shooting! Factory bushings are made to be quickly installed, basically close dropins, maybe. IMHO fitting a bushing to slide and barrel is the first economical thing, and simplest, you can do to improve accuracy. EGW makes a ton of sizes and its worth the time to measure and get one close and fit it with 1500 grit sand paper. On two attempts one busing did make the gun print under 3 inches and on another it made a little difference because the gun had a bad factory barrel fit. In either case changing the bushing is a $25 experiment that can save you $$$ especially since they changed the Service Pistol Rules now a lot of mid price guns could be decent ball guns. Finally tested my gun since fitting the new bushing at 50 yards. 15 shots, 10s, Xs. 3.25" group. BTW, shooting off sandbags no ransom rest available. 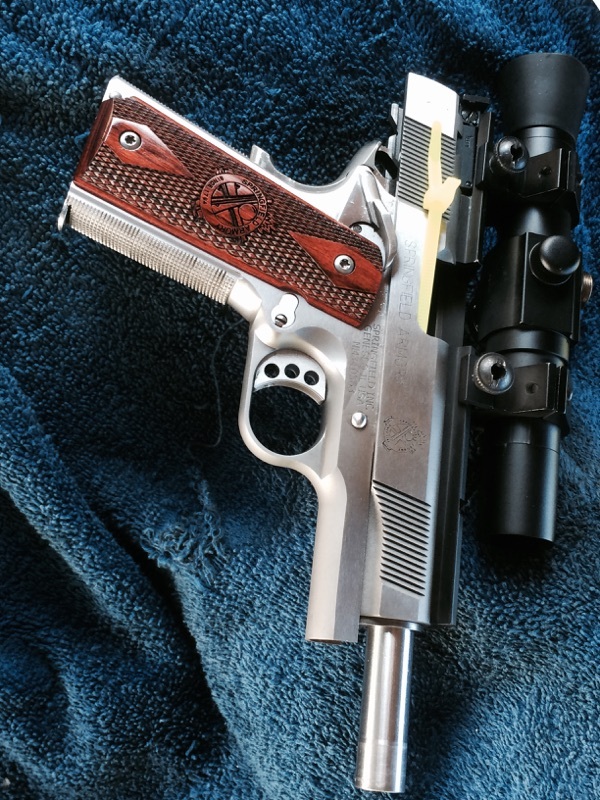 Springfield Armory Loaded Stainless, trigger job, checkered front strap and Ed Brown bushing. Tightened up group about 1/2" or so. Happy with working man's 45 right now. Saving up for one of KC's 45. Finally tested my gun since fitting the new bushing at 50 yards. 15 shots, 10s, Xs. 3.25" group. Springfield Armory Loaded Stainless, trigger job, checkered front strap and Ed Brown bushing. Tightened up group about 1/2" or so. Happy with working man's 45 right now. If the trigger pull is good, that'll get you to master easily. Looks like your reloads are good to go, as well!